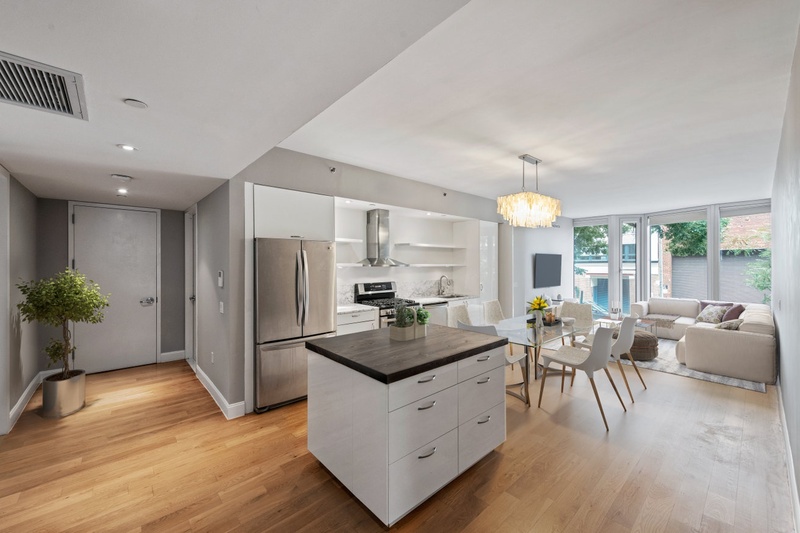 A pristine floor-through condo nestled in the trendy neighborhood of Park Slope, this 2-bedroom, 2-bathroom home is a paradigm of contemporary Brooklyn living. Features of this 1,270 sq. 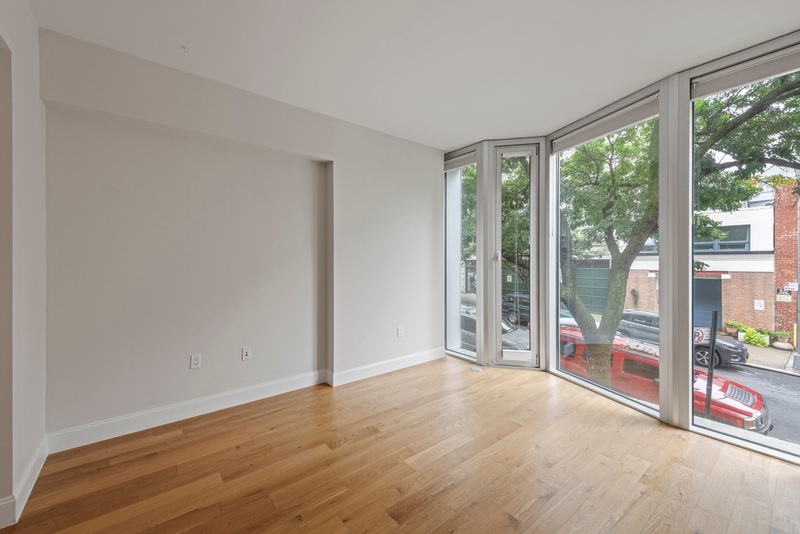 ft. apartment include gorgeous white oak flooring, floor-to-ceiling windows, gut-renovated bathrooms, central heating and cooling, custom closets, a convenient in-unit washer/dryer, and a private balcony. The home opens directly into an expansive living, dining, and kitchen space saturated with natural light. The kitchen is equipped with a marble countertop and backsplash, a custom butcher block island, and a suite of high-end stainless steel appliances from LG and Bosch. The master bedroom sits away from the living space and possesses a pair of large closets, access to the balcony, and a windowed en-suite bathroom with a floating vanity, marble counters, and a glass-enclosed walk-in rain shower. 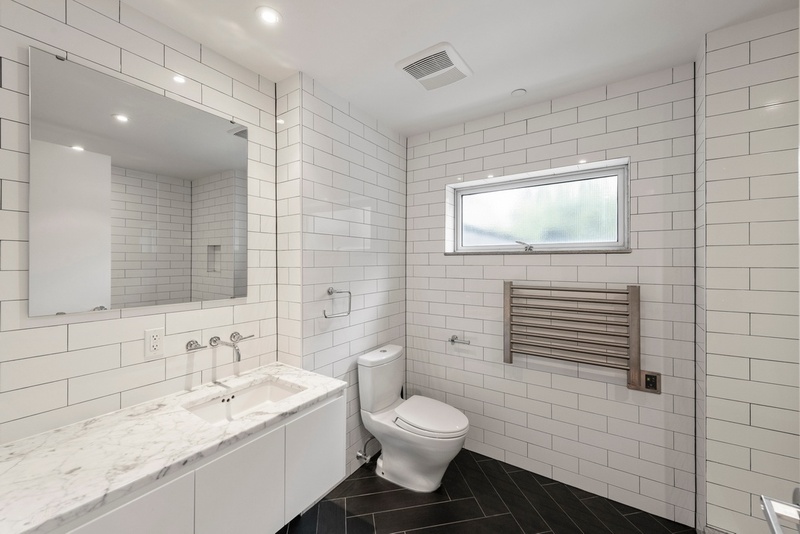 The second bedroom is adjacent to the living room and has a pair of closets and direct access to an immaculate full bathroom with dual vanity sinks, subway tiled walls, and a deep soaking tub. 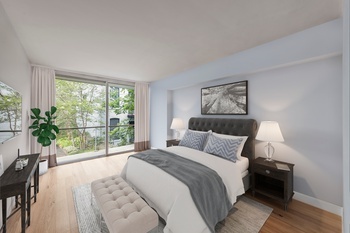 580 Carroll is a boutique condominium designed by award-winning architect, Enrique Norten. The building is is surrounded by restaurants, bars, cafes, and shops. 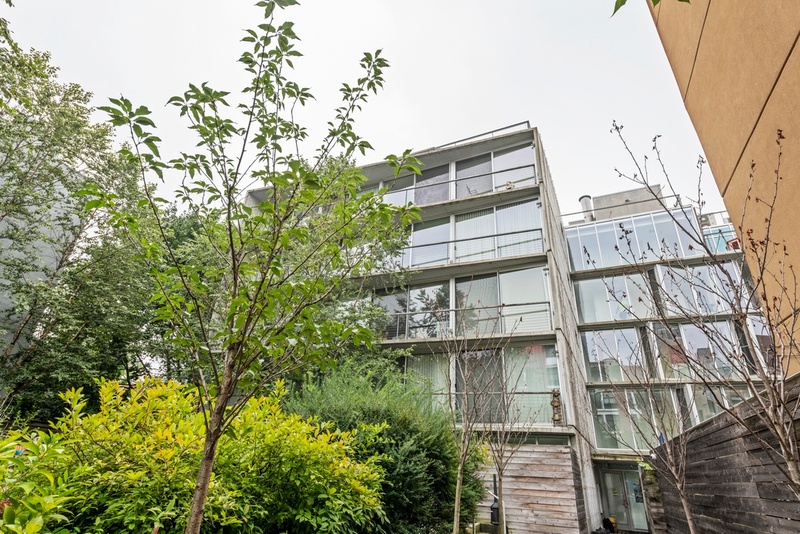 It features a private 3,500 sq. ft. garden, a bicycle room, private storage (no additional fee) and parking (additional fee) The R subway line is just around the corner. Pets are welcome. 421a tax abatement ends 2027.